We have a Nice Facility. Outdoor Arena with Lights. Outdoor Round Pen with Lights. Horse Walker. Indoor Riding Barn with Lights. Indoor Stall Barn. Runs with Leans. Lots of Pasture. 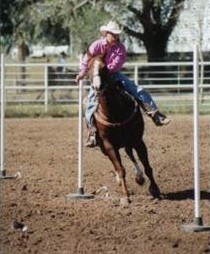 We have Roping Cattle, Brls, Poles, Etc. We Train Barrel-Pole-Goatying-Breakaway-Head-Heel-Calf Roping-Steer Wrestling-Working/Reining Cow-Reining-Cutting-Team Penning-Team Sorting Horses, Etc. We Ride on a Daily Basis. Horses are Exercised as well as Trained on the Specific Event. Groomed, Bathed, Clipped. We give Lessons for All Events as well as for Beginners wanting to Learn how to Ride. We Rodeo & Jackpot. Open Rodeo's as well as PRCA. Run at Bigger 3 Days and Larger Shows. We Haul Horses, Cattle, Animal Mounts, Motorcylces, Etc. 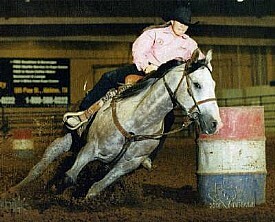 We Sell Horses, Tack, Trailers, Etc. We Shoe/Trim Horses (30-40 Years of Experience). We Plant Right-a-Ways (Grass Seed)(Family Owned Business).